Well, since I just built this brooder and wouldn't have been able to had it not been for the awesome knowledge gained from this website, I may as well show it off. 1st goal was to try and buy as little new material as possible. Our family business is growing nursery crops and we've been trying to build our place since 2004 so we have a lot of spare parts, and its a family religion to recycle everything and waste nothing. 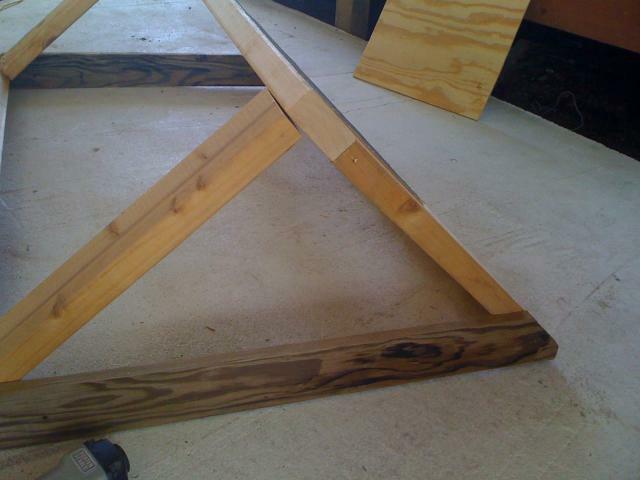 An A-frame seemed like the easiest quickest thing, since my other goal was to build this brooder fast. My new chicks were outgrowing their bunny cage awfully fast. 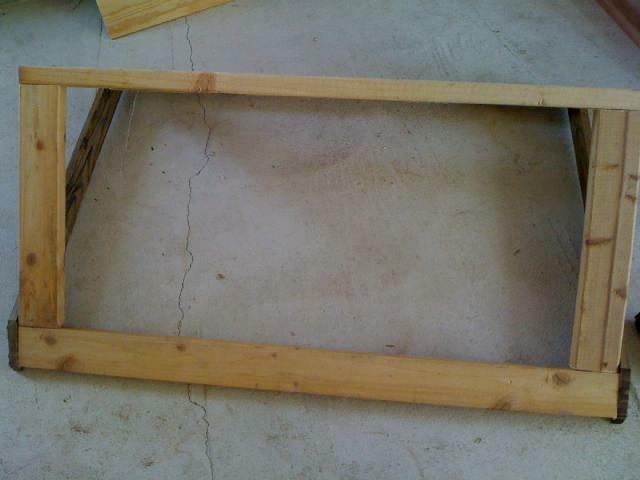 I started with scrap 2x4 pieces. The only reason there is a 2x4 in the middle of the screen was I had some 8" wide scraps of 1/4" hardware cloth and I wanted to use them up. Basically, all I did was cut wood as I went along to fit. 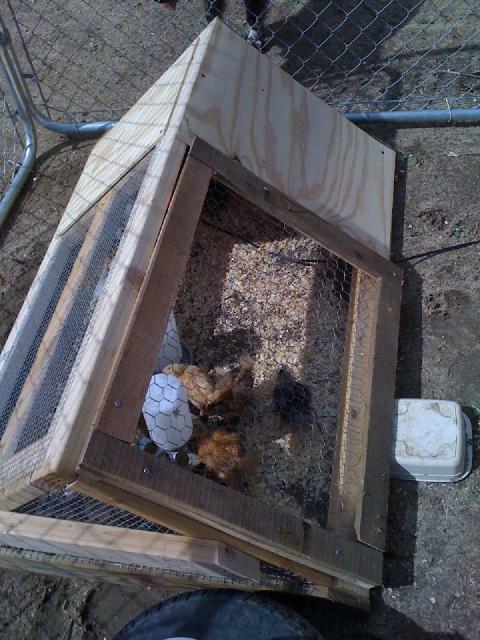 The wood for the bottom of the end walls was a scrap pressure treated 1"x4"
Sometime I used screws, sometimes nails, I did use a nail gun also mostly in the beginning which helped the brooder come together fast. The build is so straightforward I have a hard time describing it. MOstly cut pieces to fit using a pencil and straightedge (extra wood). I wanted to use the ground for a floor. 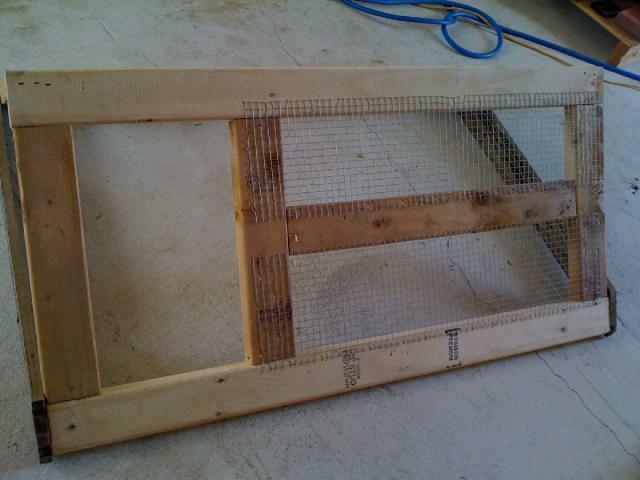 Some 1/4" and 1/2" plywood make the walls on the covered end. The door is just wood framed chicken wire. that covers the open end of the tent. That's it.